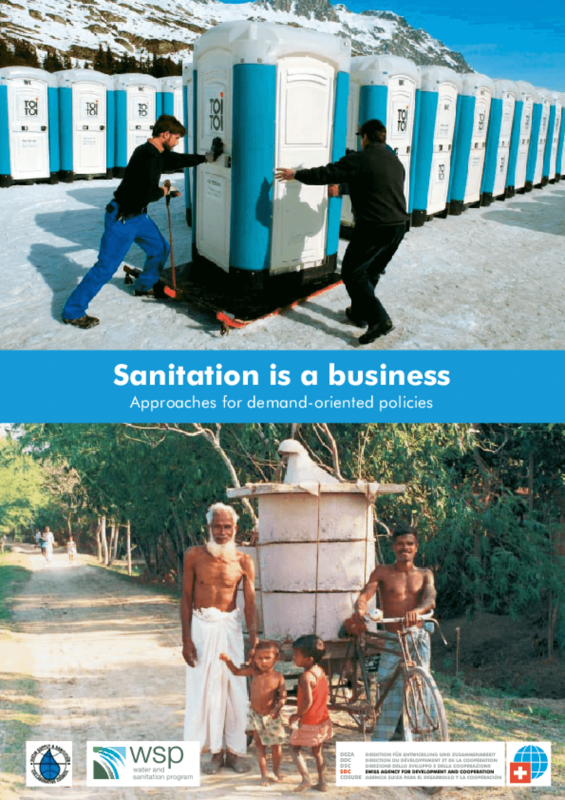 This brochure summarizes case studies that have been taken from all over the world, showing that sanitation can be a viable business. It seeks to motivate policy makers and donors to embrace a new paradigm that advocates for a strong state, managing the potential of the private sector to provide sustainable and demand driven solutions to sanitation needs. The brochure adopts a strong poverty focus, but the recommendations are also meant to be useful in transition countries. The majority of businesses that generate income from sanitation are small enterprises, some coming from the informal sector. And it is the poor who stand to benefit most, if products are affordable and adjusted to their demands. Copyright 2004 Swiss Agency for Development and Collaboration. All rights reserved.